Autumn is here! And with it come a wealth of free hedgerow foods and abundant old wives’ tales to guide you on your foraging! Having been indulging in Blackberry and Apple Pie and Brown Betty for weeks now the first frost has come and so blackberries are out (the devil’s claw has been upon them!) but it’s open season on the sloes! Sloes have had some ups and downs over the past few years but it seems like a good year for them around here so get out and see what you can pick! This sloe gin is well worth the wait, I’ve just cracked open last year’s stash and, just like every year, I am reminded of just how good this stuff is and questioning why I don’t drink it year round! – First step, freeze your sloes. Or spend 3 hours pricking each and every one of them with a small knife. Your choice. – In a large jar or bottle with a wide neck (make sure it seals properly!) layer your frozen sloes and sugar so its nicely combined. – Add the blanched almonds. – Add the gin at room temperature. The shock of the gin on the frozen sloes will cause the skins to split, you may even hear them cracking like ice cubes! 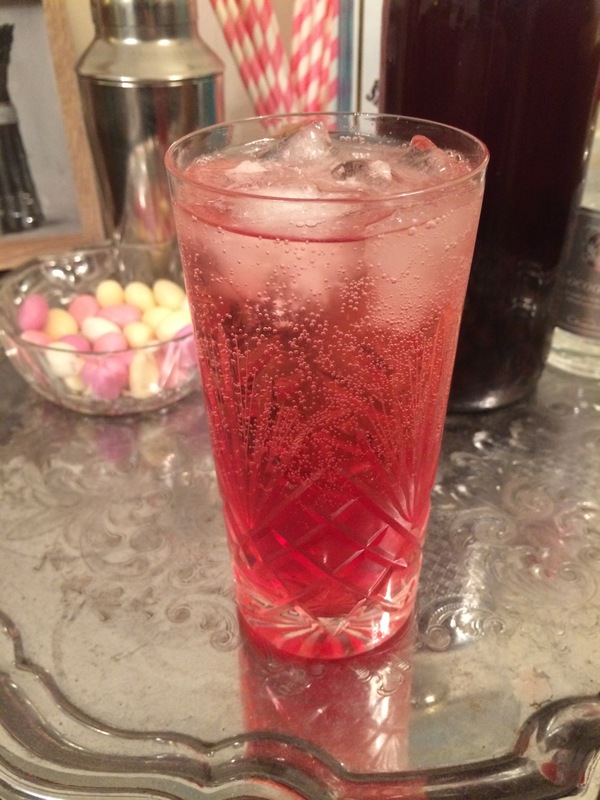 – Enjoy with ice and tonic, or as a bonfire night tipple straight from a hip flask! Warms you up a treat! * As with all foraging expeditions your harvest varies. If you have come home with say 2kg of sloes (well done you!) then simply use half the amount of sugar to the weight of sloes (so 1kg) and when adding gin you want the sloe/sugar mix to come about halfway up the bottle leaving the rest of the room for gin. As for gin, DO NOT go using Bombay Sapphire or the like in this recipe. It’s a waste! Lidl, Aldi and the like do perfectly acceptable gin at a good price especially when you are going to be adding so much fruit and sugar to it. There’s no need to break the bank! ** If you don’t want to waste the sloes you can go on to use them in Sloe and Apple Jelly by simply adding them to this recipe. I am obsessed with all things apples this month! I love these Discovery apples from my parent’s garden and I want to try to preserve the joy for as long as possible. Their season is starting to wane now so I thought I’d take some of the worse looking ones and turn them into Jam! This jam is a deliberately chunky one as I am hoping to be able to use it to make thinks like jam pies later in the year when I want to remember the gorgeous fragrant flavour of these lovely apples. It has just a hint of cinnamon in to that end too. Apples and cinnamon is a brilliant combination but one it took me a while to come round to. Now I’ve come round I’m a big fan! I love the colour of this jam that comes from the pink flesh of the Discovery apple, if you use another apple then it will probably be a much paler colour but I’m sure would still be delicious! – Core and peel your apples and slice them roughly, leaving them fairly large, and place them immediately in a large bowl of cold water with lemon juice to stop them from turning brown while you do the rest. – Drain your apples and weigh them, you want 0.75kg sugar for every 1kg of apples. 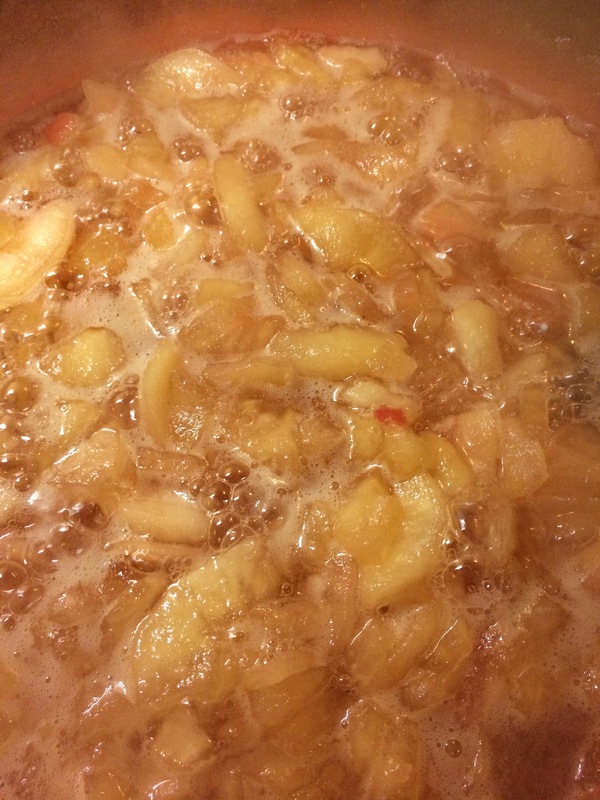 – Add the apples to a large, heavy bottomed jam pan. – Add the sugar and cinnamon. 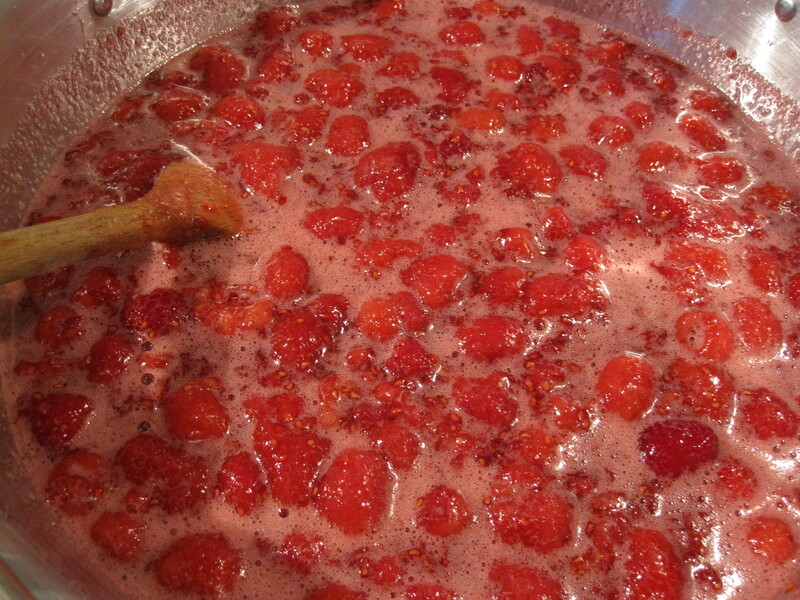 – I like to add a splash of water to start things off, about 100ml, but that’s because I’m a nervous jam maker! – Turn up the heat! – Prepare your jam jars, either by running them through the dishwasher or washing them in hot, soapy water then drying them in the oven on a very low heat. Lids can be sterilised in boiling water. 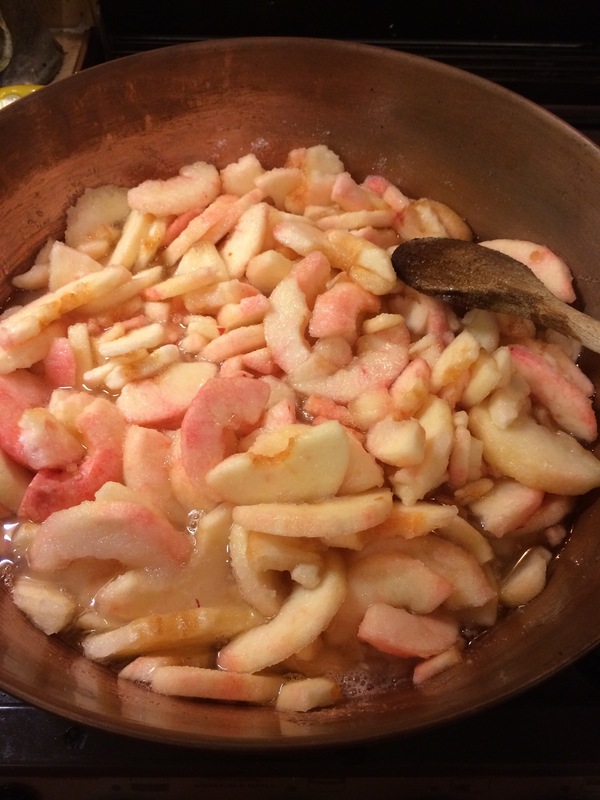 – Boil your apples and sugar, the sugar will melt and the apples will start to break down, which is why we kept them quite chunky to begin with. – Keep boiling for about 50mins-1 hour, stirring frequently to avoid catching but not too vigorously so as to avoid breaking down the apple as it cooks. – If you have a jam thermometer you want to get it to 104C, Jam temperature. If you don’t you can see that the bubbles get sort of small and the mixture more slow and gloopy. It will drip slowly off the spoon. If you pour a small bit onto a cold saucer and push your finger through it it should wrinkle up. These are all signs that your jam is done. 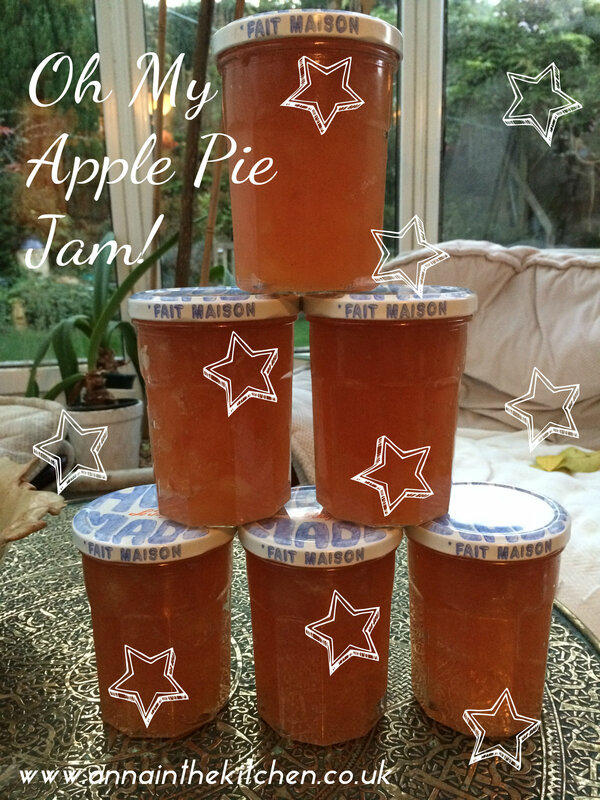 – Carefully ladle into your prepared jam jars and seal the lids on tight. Leave to cool, the lids should sick in so there is no dimple. If any don’t seal then use these first and keep in the fridge. I found this recipe many years ago and, having seen many others over the years, still cannot fault it. It does require a pressure cooker, which, until I married 32 years ago, I had had no experience of – when I first started using it all those years ago; I was terrified of it, being convinced it would explode! I can say that I am now quite comfy with it, though it does give me the odd scare if its equilibrium is disturbed – for example, if someone walks past and hits the loose floorboard by the cooker, it screams and gushes steam out from under the weight! The original recipe calls for the oranges to be frozen, but it is not essential. You just cut the cooking time by half on the first cooking. The advantage of being able to use frozen oranges is, of course, that the Seville orange season is short, normally January/ February each year, and sometimes, having spotted them in the shop, you just don’t have the time to make the marmalade immediately. 4lbs granulated sugar, or jam sugar if you want to make it more expensive! 4 tablespoons of lemon juice. You can scale this up or down easily, though much will depend on the size of your pressure cooker. These quantities are the maximum mine will take. This made 2 x 500g jars and 4 x 250 jars, so about 4 lbs in total. Sorry, I work in pounds and ounces, but my jars come from France and Italy, where I stock up each year on the wonderful preserving jars they sell so cheaply over there. Put the jars to warm, minus lids if they are screw top, minus the rubber seal if they are the rubber seal and wire closure type, in a very low oven, whilst you make the marmalade. Put the oranges in the pressure cooker with the water, put the lid and the pressure weight on and bring to the boil and to pressure (15lbs) or max or whatever is the top setting on your particular monster. Once at pressure, cook for 20minutes if frozen and 10 minutes if not. Turn off the heat and slowly the pressure will revert to normal. You can speed this up by taking the pressure cooker to the cold tap and running cold water over the lid. Even after 32 years, I still consider this is a step too far! Once the pressure is off, the lid comes off easily – don’t rush it – yes, you can sometimes get it off when it is still under pressure, if you are strong enough, but the contents will potentially spray everywhere, and they will burn. I normally switch off the gas, and make a cup of tea whilst it sorts itself out. Remove the oranges to a colander over a bowl with a slotted spoon. They should be soft and tender and a thin skewer should pass through the skin easily. Cut each one in half on a plate, to catch the juice, and with a soup or dessert spoon scoop out the inside pips, pith and all into the remaining liquid in the pressure cooker with any juice collected in the bowl. Put the lid back on and bring up to 15lbs/max/whatever for a further 5 minutes. Cool as before and then strain the liquid and orange flesh etc through a fine sieve into a bowl. It is OK to press the flesh quite hard to extract the maximum of juice and pectin and doesn’t make the end result cloudy. Return the liquid to the pressure cooker. Scrape off any pulp from the outside of the sieve and add to the liquid, then discard the residue of pips etc. 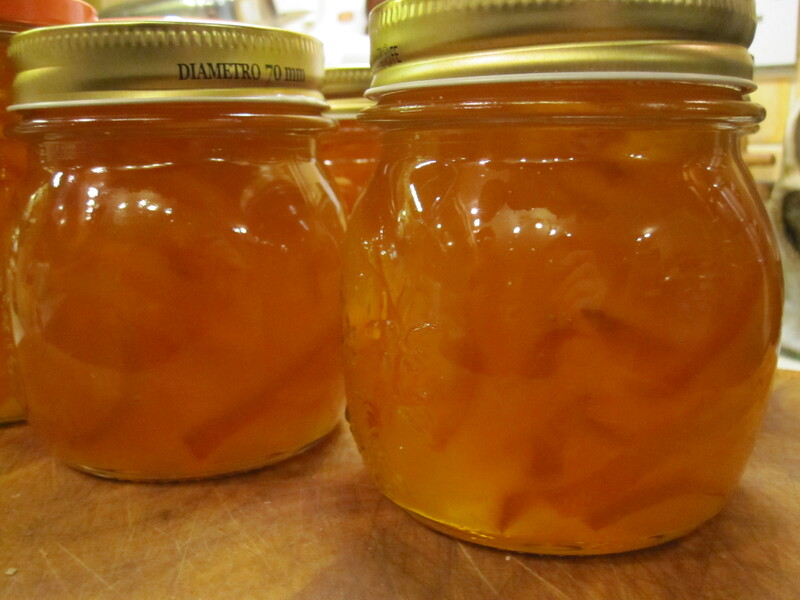 The remaining skin shells need then to be sliced thinly, about the thickness of a matchstick, or thicker if you like coarse cut marmalade, and added to the liquid with the sugar and lemon juice. I use the same pressure cooker without the lid to finish off the marmalade, but if you make larger quantities you will need to use a preserving pan. You need to bear in mind that the mix of liquid, sugar and peel will rise up as you boil it and you do not want it to boil over. Warm the liquid etc over a medium heat to gently dissolve the sugar, stirring regularly. You know it is dissolved when you no longer can feel the gritty texture of the sugar between wooden spoon and pan. Then bring to a rapid, rolling boil for 10 minutes before testing for set. Stir regularly, so that the peel doesn’t sink and burn, but watch out as it can get quite explosive and will burn badly if it erupts onto your hand. To test for setting point, take a very small spoonful and pour onto a cold plate. Leave for a minute or so then slowly push your finger through the marmalade sample. If it wrinkles, it is ready. Alternatively, use a jam thermometer and cook to 105C. How quickly it gets to setting point is variable as it will depend on the age of the oranges, and the level of pectin in them. The last lot I made took 15 minutes to get to setting point, and I checked it using the finger test, and the thermometer to be sure. 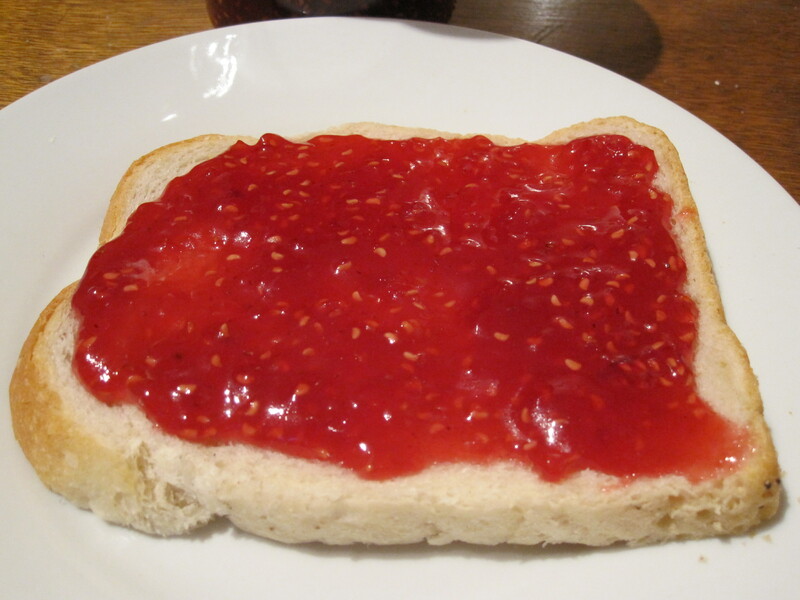 Nothing is worse than runny marmalade as it gets everywhere, except on the toast. Once setting point is reached, turn off the heat, add a knob of butter, and give it a quick stir to melt it and mix it in and then leave for 5 to 10 minutes before potting up. This stops the peel sinking or floating. The butter prevents scrum forming and seems to make the marmalade glossier. Gently fill each jar, making sure you get an even distribution of peel between all the jars. Using a jam funnel helps for this and avoids sticky jars. Put the lids on tightly and leave to cool before labelling. Purists would probably go for waxed discs, cellophane tops, and rubber bands, but I prefer the French/Italian jars with either metal lids or rubber seals and a wire clamp. It is very satisfying when you hear the metal lids snap as the vacuum is created, and I think the jam/marmalade stores better and for longer. I have even reused shop bought jam jars, with the telltale vacuum seal lids, and these too will snap and reseal when filled with hot jam. Store in a cool, dark place – we have a wardrobe in the garage full of jams, pickles and other preserved goods, that does the trick. Oh my god! It’s been over a month since I updated! I am so very, very sorry!!! I have now moved house. I am officially living in the charming town of Easingwold… I haven’t actually spent any time in Easingwold but it looks very charming as I drive out in the morning and back in the evenings! Weekends have been spent worshiping in the hallowed halls of Ikea or lugging boxes down the A19 from “home” to “my house”. I am hopeful that this weekend I will be able to get to know my local delis a bit as I have reached the point where the stuff still in boxes is optional and unpacking is no longer a priority. 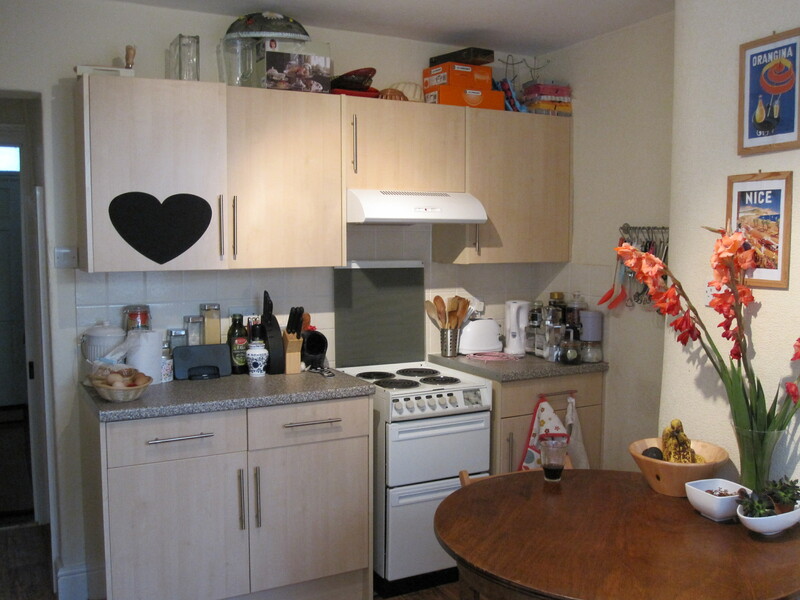 Naturally, my kitchen was the first thing I got sorted out to my liking. I am even adapting well to using an electric hob and oven for the first time. (Haven’t tried the grill yet.) I have all my things and a pantry!!! Once gain I have to apologise for the lack of updates. I have been mostly sticking to tried and true recipes so haven’t really had anything to post and this is one of the first nights I’ve even had the time to post. Hopefully this will change now that I’m mostly unpacked. However, one thing I did manage to make time for was Raspberry Jam. Raspberry is my favourite jam. I will pick it over strawberry any day of the week. So I took the time a few weekends ago to go out the the pick you own and picked myself 6 1/2 lbs of raspberries. Then I bought myself a jam pan and some jam jars (I had to buy jam jars! Normally I’d just go to the cupboard but I have yet to build up a stash!) 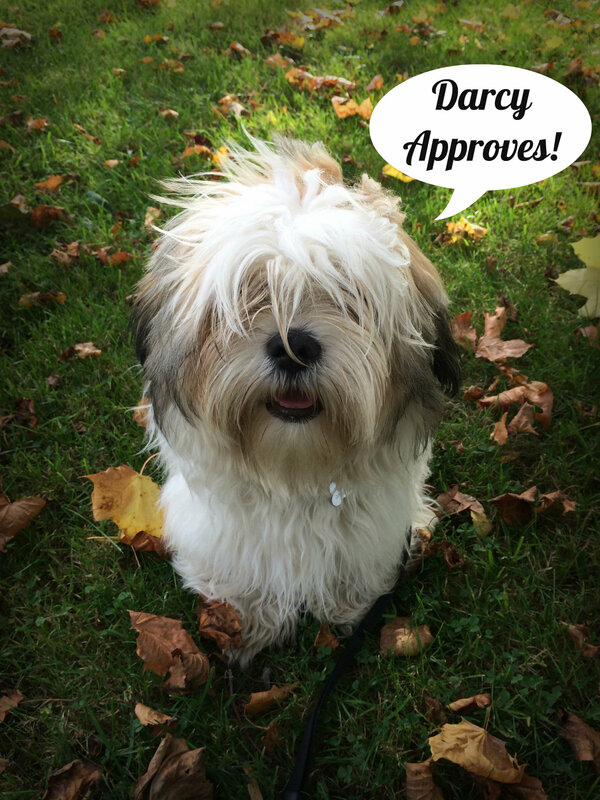 I consulted with my mum’s copy of Beryl*… and then winged it! I didn’t have enough sugar on hand and raspberries just don’t keep well. In order to postpone my jam making I put the raspberries and what sugar I did have in the jam pan and kept it in the fridge overnight. Then, once I had enough sugar I simply added this to the pan and set it on the heat. Not the way that Beryl says to do it but it worked! Equal weights of freshly picked raspberries and granulated sugar. 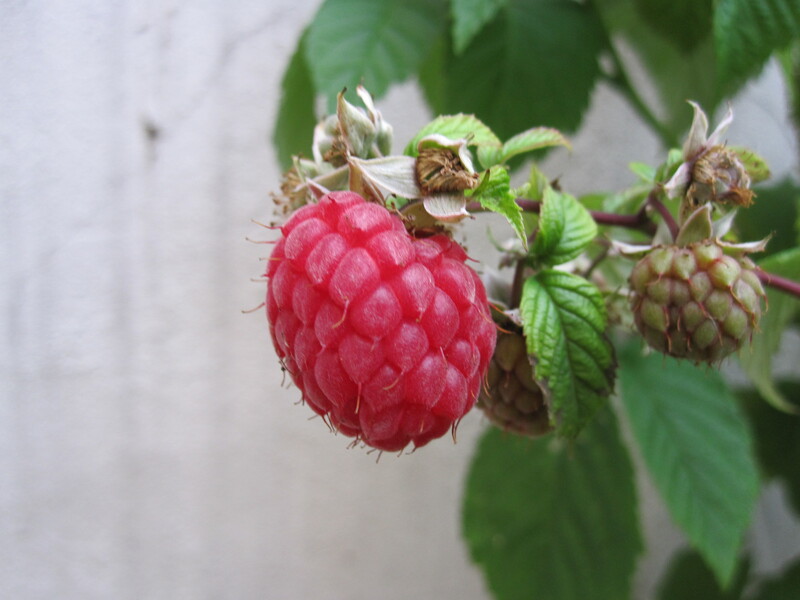 – Place the raspberries and the sugar in a very large pan and bring to a fast boil. – Place a small dish or plate in the fridge or freezer. – Wash your jam jars and place them in the oven, I went with 90*C, on a low heat to dry them completely. – Keep stirring the pan so that everything is nicely mixed up. – The sugar will melt and the berries will fall apart. – Keep boiling it at a fast boil for about 30 minutes. – Check the drips off the spoon for “flaking”. The drips will slow and look flatter as you approach the setting point. – If you have a jam thermometer use this to see if the setting point has been reached. – If you don’t have a jam thermometer (or don’t trust it in my case) then take a small spoonful of jam and place it on your cold plate. Wait about 30 seconds then push it with your finger. If it wrinkles ahead of your finger it is ready. 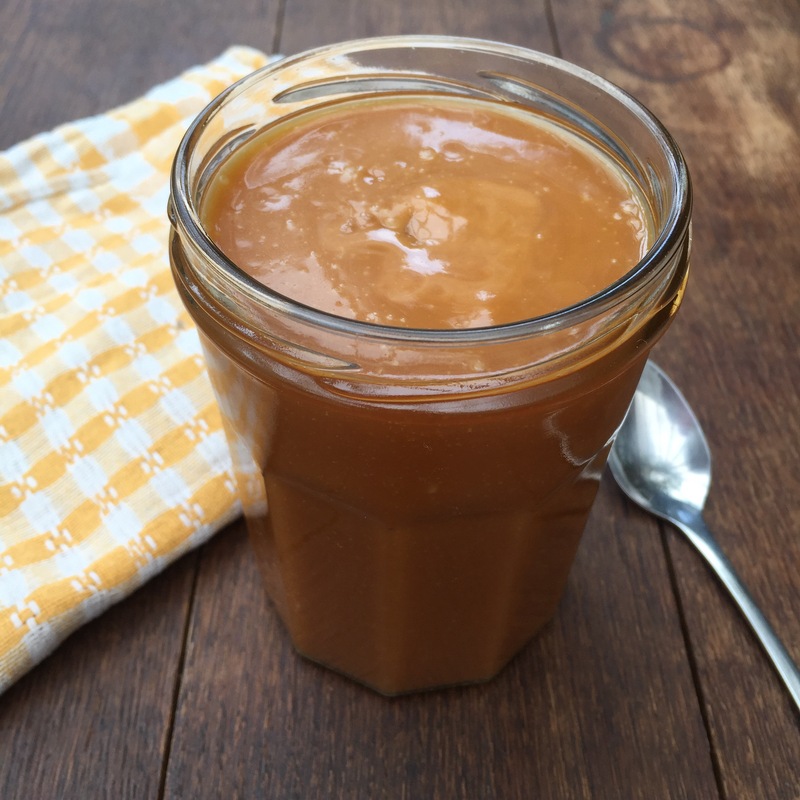 – Remove from the heat and decant into your hot, prepared jars. Put the lids on straight away and set aside to cool. You can preorder it off Amazon now but they’re not publishing until 5th May 2011. I’ll be keeping you posted but my copy is already ordered! My mum LOVES sweet chilli sauce. I honestly think she’d have it on everything if she could. 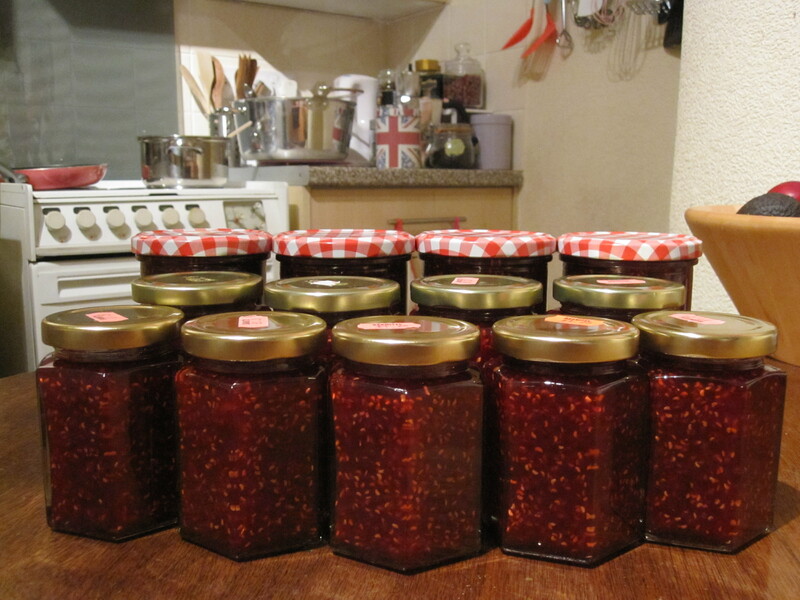 So I found this recipe for sweet chilli jam and knew I had to make it for her for Christmas. It’s got a bit of a kick to it but if you’re not keen on spicy then just don’t use so many chillies. I used a really big deep saute pan much wider than it is tall, which is a really useful pan to have around but any really large pan will do. If the pan is deep rather than wide the jam will take longer to reach setting point. Makes about 4 small (~250ml) jars. 8 red peppers, chopped (I used 4 long sweet ones and 4 bell as the supermarket didn’t have 8) < would you look at that, didn’t know I could do that I meant 8 then)! – Put the peppers, chillies, ginger and garlic in a food processor and whizz until finely chopped and pulpy. You may have to do this in two batches. – Put this into your pan and add the tomatoes, sugar and vinegar. – Bring to the boil and then simmer at a rapid pace for about 45 minutes. Keep stirring to keep it from sticking to the bottom of the pan. – When there is a texture change and it goes very thick and sticky give it 5 minutes more while stirring. – Put into sterilised jars while still hot and screw the lids on immediately. While I’m feeling organised I thought I’d get this recipe up before I forget all about it. I found a hedge full of crab apples while out walking the dog a few weeks ago and although I didn’t know if they were edible I picked as many as I could get. Luckily they turned out to be very edible! I didn’t actually manage to get that many so I bulked them up with cooking apples that I couldn’t store as they were bruised windfalls. Then I had 2 quince laying about so I chucked those in too. It was a bad year for quince round these parts it would seem. 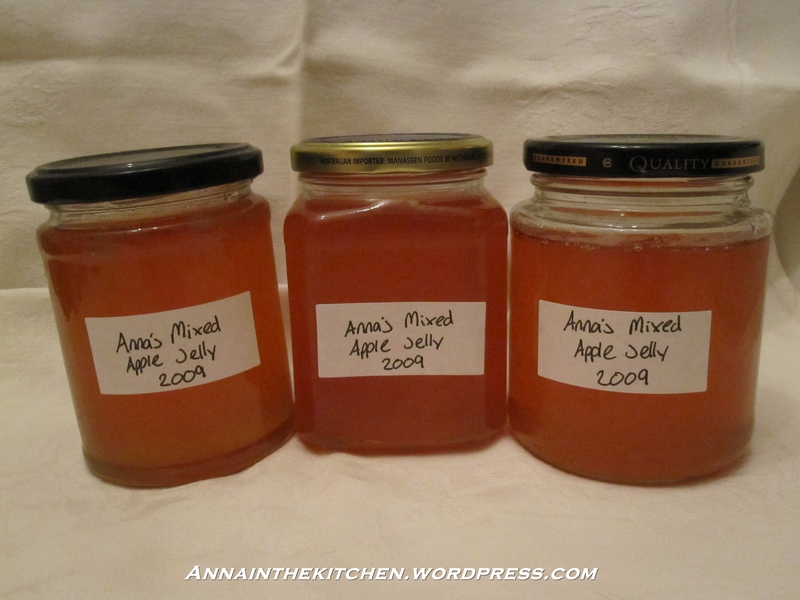 So mixed apple jelly was born! It’s a beautiful colour and smells divine. The best book on preserves ever is Let’s Preserve It by Beryl Wood. Alas it is out of print so I may have to “borrow” it from my mother at some point in the future. If I want to put something in a jar this book is my first port of call. It’s magic! This has been my first year of making jams, chutney and other things and I’m starting to get the hang of it now. I used to be terrified of boiling sugar but now I’m a dab hand! On the subject of sugar a lot of recipes I’ve googled say to use caster sugar. Don’t. Use granulated. It’s much cheaper, which is great when using in these quantities, and the size of the sugar crystals makes for better jams and other preserves. Quantity varies according to how much apple you start with. – Chop up the apples into chunks, don’t bother to core or peel them. – Put them in a very large pan and cover with water. – Bring to the boil and simmer until soft and pulpy, about 30 minutes -1 hour. – Line a seive with muslin and suspend over a large mixing bowl. – Tip the apple mixture into the seive and cover with the corners of the muslin to keep flies off. DO NOT PRESS OR SQUEEZE or you will get cloudy jelly. – Leave overnight to drip into the bowl. – Put these together in a large pan and add the lemon juice. – Skim off the scum until you reach a good violent boil then add a knob of butter. This jelly does throw a lot of skum so you have to call it quits at some point of you’d be there forever! 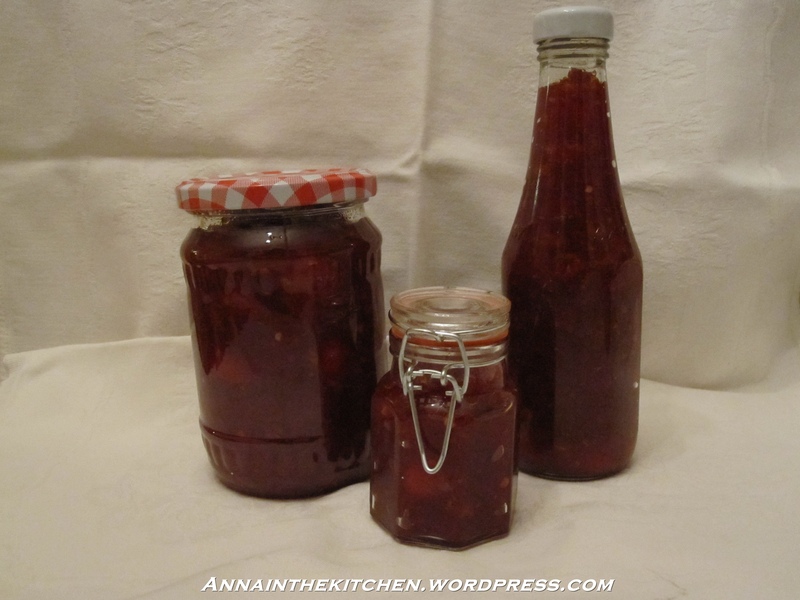 – Decant into warm, sterilised jars and put the lids on while hot. This jelly sets fast so work quickly. *I got a perfect 1 1/2 pints and so added 1 1/2 lbs. Usually I’m a metric girl but often jams just work better in imperial, imperial seems more fitting to me anyway. ** I am now a convert to the sugar thermometer. I didn’t want to be but it does make things a lot easier. Mine has all the necessary points marked on it and is made so you can’t touch the nib to the bottom of the pan and also has a very useful clip to attach it to the side of the pan. To test the if the setting point has been reached hold up the spoon and see how the drips form. If they’re slow and large then test it. Keep a saucer in the freezer and place a small amount of the jam on this, leave it for a moment then push your finger across the saucer. If the jam wrinkles ahead of your finger it has reached setting point. The bubbles are also a good indicator, they should be big, about 1cm, not tiny little ones.